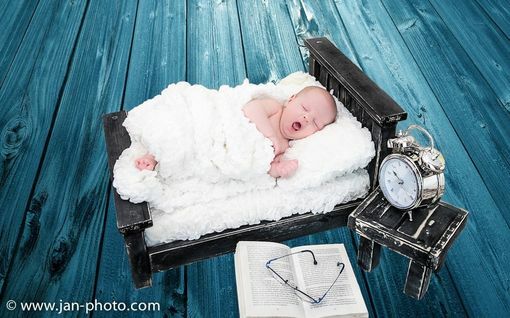 Newborn Photography Photo Prop Bed with side table is Handmade by me using only solid wood! 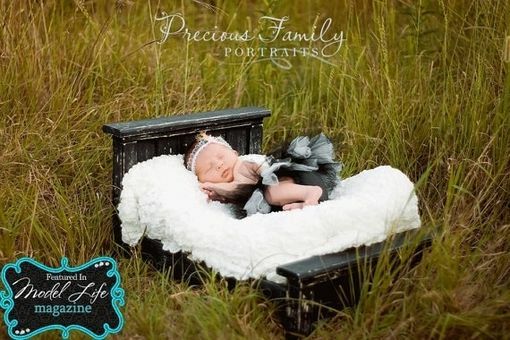 These darling Pint Size Props are handmade by 2 small town Gals who love to create pieces that really Speak!! Imagine a nice open field with this darling bed right in the middle (Priceless). 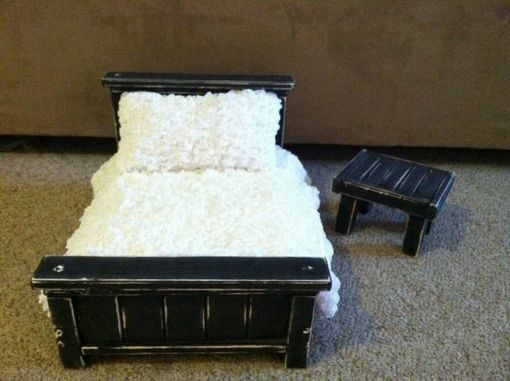 The possiblities are endless with this adorable bed set. This Antique Midnight Black Classic Doll Bed set creates the perfect miniture bedroom feeling your looking for. The little side table really completes this set!!! The bed is Measuring 16inches wide by 23 inches long this bed gives you plenty of room to even be able to capture twin babies in the same bed. All my beds come fully assembled, painted, and ready to use. Rest assure that you are going to get what you paid for with this bed and more just look at my feedback. THESE COMPLETE SETS ARE REALLY NICE. 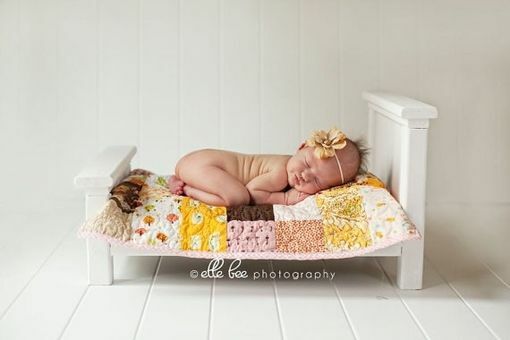 THEY INCLUDE ANY NEWBORN PHOTO PROP BED COLOR OF YOUR CHOICE ALONG WITH A COMPLETE BEDDING SET. THE BEDDING SET COMES WITH A SOFT FOAM COVERED MATTRESS, FITTED SHEET, MATCHING COMFORTER, AND 1 LONG PILLOW. THIS BEDDING WILL COME IN YOUR CHOICE OF COLORS, FABRIC OR DESIGNS. PLEASE LET ME KNOW THROUGH A CONVO WHAT YOU WOULD LIKE. This bed comes in Antique Midnight Black but can be painted any color you would like! This listing is for the complete bed set. This includes Bed, side table, and full bedding. Please check out my shop for more of my creations!